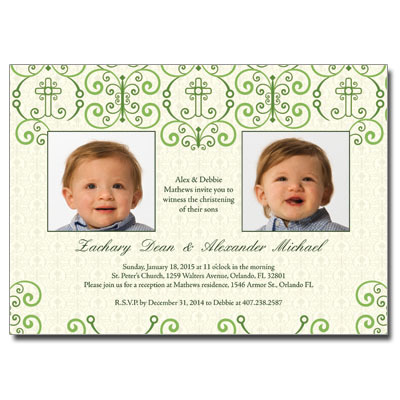 Shades of green and light beige look sophisticated yet youthful on this Christening invitation. An ornate pattern with crosses helps frame two photos of your little one or twins, with room for event info and two names below. Card measures 7x5.